It's so nice to see Vandelay back working in Downtown. 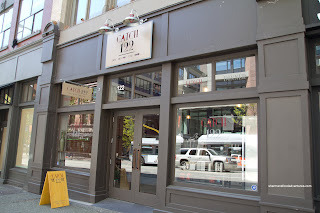 For awhile there, I had lost my "go-to" dining companion for Downtown eats. Wait. There's still Whipping Girl, but I always forget about her anyways (I'm gonna get it when she reads this). What's even better, Vandelay is now in Gastown, which opens up an array of eating options. 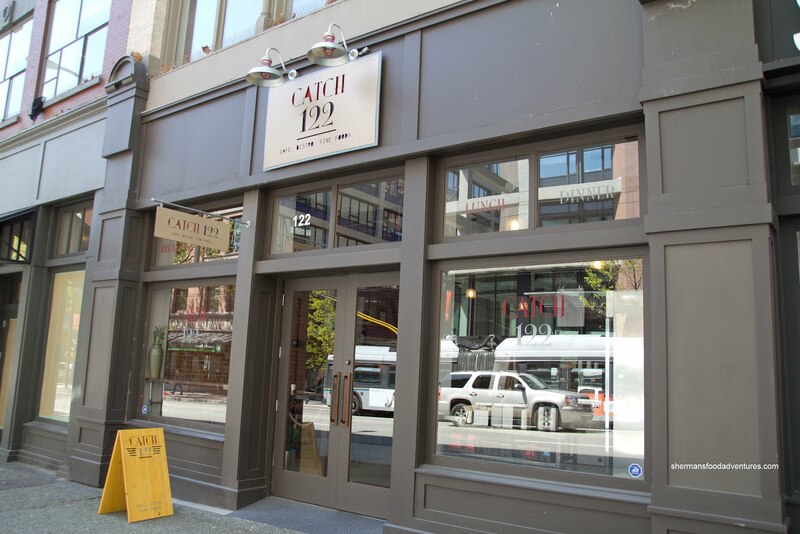 Meeting up for lunch, he suggested we go check out Catch 122 Cafe Bistro on Hastings across from the Woodward's complex. Wow, I haven't eaten at a restaurant on that block since Golden Crown used to exist. Yes, that was a long time ago! It speaks to the revitalization of the neighbourhood, which also means pushing the existing locals further East. But that is another issue altogether. We arrived a quarter to twelve, which ensured that we'd miss the noon hour rush. The place is spacious, yet not endowed with lots of seating. Right away, it reminded me of the Stumptown in Portland near Voodoo Donut, with its exposed brick walls and open counter. 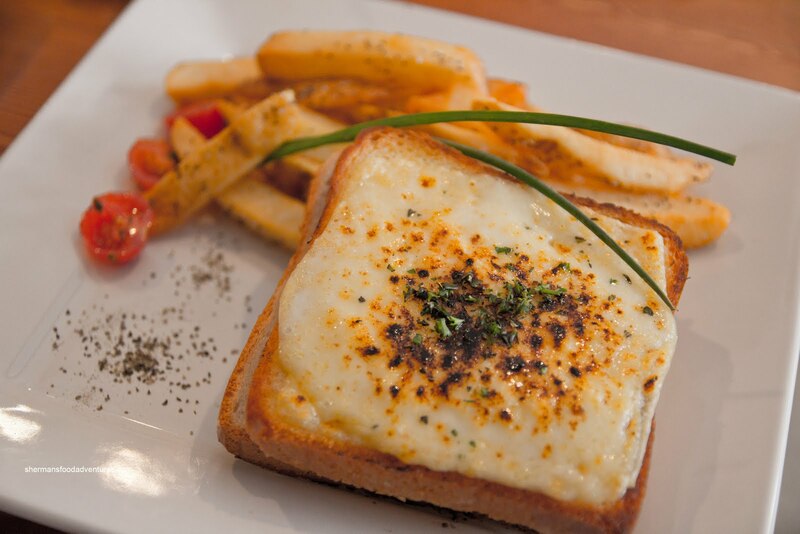 We decided to share 3 sandwiches starting with the classic Croque Monsieur. We liked the thin layer of bechamel on top as it was just enough to moisten the crunchy, buttery bread. Make no mistake about it, this was a rich concoction (which it should be too). The ham was there, yet not salty and the cheese, melted nicely. The side of thick cut fries were crisp and had plenty of potato goodness inside. 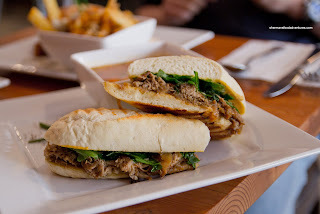 For our second sandwich we had the Duck Confit consisting of a generous amount of duck leg, dijon, caramelized onions and arugula on a crusty baguette. The whole thing was quite balanced from the sweetness of the onions, brightness from the arugula, meatiness from the duck and tang from the dijon. We had the vegetable navy bean soup as the side and well, it was pretty bland. Lastly, we had the Pulled Pork Grilled Cheese, which was more like a pulled pork sandwich with melted cheese. It was only lightly grilled sans beurre. This was a saucy, sloppy sandwich which was good, yet probably our least favourite. 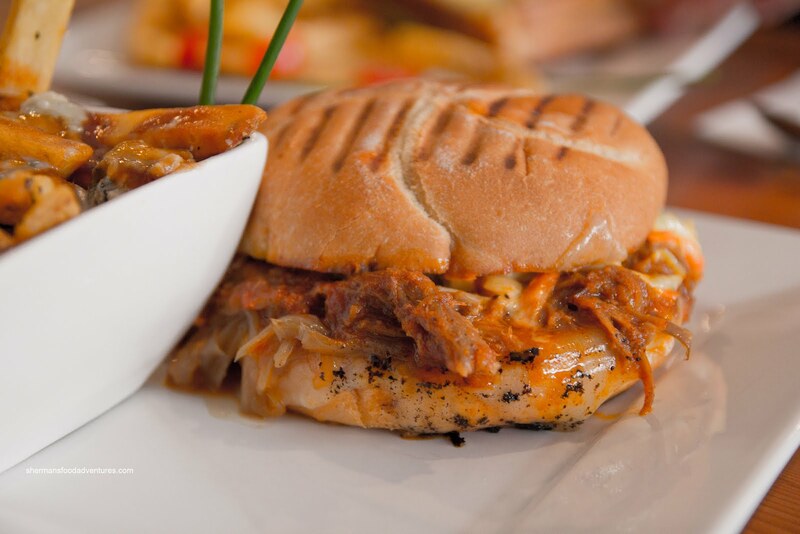 Hey, don't get me wrong, we still liked it with its sweet BBQ sauce and moist pulled pork. The cheese was a bit lost in the whole thing since it was not really a "grilled cheese". The coleslaw was there, yet had little impact. Due to the high moistur e content, I could see why they used a more substantial bread, but I would've liked to see an actual grilled cheese with pulled pork. 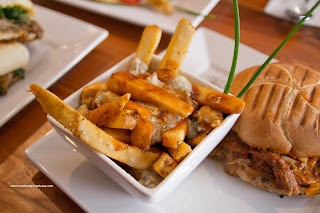 We paid a bit extra to try their Gorgonzola Poutine and it was well worth it. Starting with the same great fries, the rich demi was flavourful without being salty. The gorgonzola added another strong layer of flavour and sharpness that made the whole thing very tasty. Loved the poutine. In general, we enjoyed our lunch visit to Catch 122. We already had designs on returning for dinner.